Some time ago on this site I wrote while dividend investing takes some time and effort, investing in some Exchange Traded Funds (ETFs) does not. This is because ETFs offer built-in diversification, often for a modest fee, to help investors fight the biggest enemy they will ever face – themselves. Successful investors avoid excessive trading, they diversify their holdings, and they keep their distance from major money management fees. Many indexed ETFs can provide all three benefits to you and some dividend ETFs can do even more – they can provide steady income instead of hope of capital gains. Are you nervous about owning individual stocks? Want better diversification than individual stock selection? Want income from your investments? Welcome Canadian dividend ETFs to your portfolio. Here are some of my favourites and why. I think for all around performance, yield, cost and diversification, this Canadian dividend ETF remains top-notch. Management Expense Ratio (MER) = 0.39%. 35% financials; 24% energy and 12% utilities. Vanguard Canada remains a low-cost ETF leader. The only downside I see to this product, the top-10 holdings dominate it; these holdings make up consistently close to 70% of this product. I would prefer to own these top-10 companies directly (which I do). There are better ETF choices for diversification in my list. This is one of my favourite Canadian dividend ETFs because of the low management fee and high number of holdings (75). Although Canadian banks, energy, pipeline and telecommunication companies always dominate the top-10 holdings, there are a number of consumer discretionary stocks and Real Estate Investment Trusts (REITs) that spice up this ETF rather nicely – great for the income-oriented investor. Yields consistently around or over 4%. This is one of my favourite Canadian dividend ETFs because it’s also considered one of the best “plain vanilla” equity ETFs in Canada. For a dirt-low total fee of about 0.20% per year, you hold the largest 60 blue-chip companies in Canada. It’s hard to argue with the long-term returns of this ETF, almost 7% return over the last 10 years that includes The Great Recession. Like other dividend ETFs, although Canadian banks, energy, pipeline and telecommunication companies dominate the top-10 holdings, there are a number of other blue-chip companies from the industrial, material, consumer discretionary, and IT sectors that give you a tidy all-in-one product. I consider this ETF arguably one of the best products you could own for the Canadian content of your portfolio. Disclosure: I used to own this ETF, I used it to supplement the individual Canadian stocks I own. I have since created by own Canadian dividend ETF by owning the many stocks that XIU holds and dumping ones I don’t want to own (but the ETF must). A relative newcomer when compared to many other Canadian dividend ETFs, this product seeks to replicate the Morningstar Canada Target Dividend Index – it goes after many of the largest and most liquid Canadian dividend paying companies. This product is more expensive than others I’ve listed here, it remains new, so the jury remains out if you’ll obtain some fund outperformance for the price. I’ll keep watching this one though. This product started out as a Claymore fund but for the last few years it has been part of the iShares family. It tracks the S&P/TSX Canadian Dividend Aristocrats Index, less fees and expenses. Stocks in this ETF have increased ordinary cash dividends for at least 5 consecutive years – something I’m fond of when I own individual stocks in my portfolio. The problem with this fund (and why I dropped it from my favourites) is it also contains a number of high-yielding stocks that might be on the verge of a dividend cut. It also carries one of the largest money management fees in this space. Dividend cuts and high-fees are bad. You heard it here first. There are better products to own in my opinion. This product has undergone a few names changes over the years but it remains essentially the same. This ETF holds 30 of the highest yielding, dividend-paying companies in the Dow Jones Canada Total Market Index, using a methodology associated with dividend growth, yield and average payout ratio. There are some wildcards in this product (meaning, some companies I wouldn’t own directly) and I think the MER is rather high when compared to other products. There are better, lower-cost alternatives. Disclosure: I used to own XDV many years ago but I sold it in favour of holding many individual stocks that XDV owns directly. Dividend ETFs offer many benefits. You get instant diversification. They don’t cost very much in comparison to dividend mutual funds and in some cases, their cost structure is near par with broader equity ETFs; touted funds like VCN, ZCN and XIC. Dividend ETFs pay you to be an owner – income you can rely on as you grow your portfolio or as you depend on it in retirement. As you can see here not all dividend ETFs are created equal. Do your homework, ask lots of questions, and consider consulting a financial professional before making any major investment decision. For further reading, you can also check out my friend’s post about Canadian Dividend Aristocrats here. In the coming weeks, I hope to post some of my favourite international, U.S. and U.S. dividend ETFs for your portfolio. Stay tuned for that and as always thanks for reading. 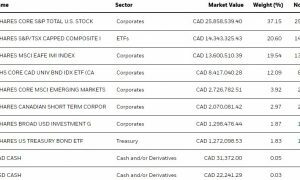 48 Responses to "Top Canadian Dividend ETFs for your portfolio – 2016"
Have you taken a look at PDC, power shares Canadian dividend etf. It has performed as well as the ones you have mentioned above and pays about 4%. I considered that one Michael, thanks for mentioning it. The MER is on the high side at 0.55% and the top-10 holdings (not surprisingly) are mostly Canadian banks and pipelines. I think if investors wanted to own such a product then VDY is better at half the cost. There are only 44 holdings so XEI, lower cost and more diversification with 75 holdings, is another suitable alternative as is XIU. That is a point of view. Despite the higher MER, PDC outperforms every Canadian Dividend ETF on the 2,3 and 4 year period. In my humble view, PDC has a better built index, ranking stocks by dividend yield when selecting them, but weighting them by market cap. XDV and CDZ weight them by dividend yield, which is quite dangerous when we think about yield traps. Example: A stock pays a high dividend, is selected to be included in the index, then price drops and the dividend yield increases even more. It gets a top weighting in the index based on a ratio that does not show a increase in dividends but a drop in the stock price. PDC weights them by market cap, allocating top positions to large, stable companies that weather the volatility better. Just look at the downside capture over the past 5 years for PDC, compared to XDV and CDZ. PDC has a short life to date – no? Looking at assets, those are similar to my holdings. The MER is too high for CDZ, for my liking, although an option for income investors. I can certainly consider adding PDC in the future. Thanks for reading and the comment. Want income from your investments? Currently getting more income than etf’s would provide. Ha, well, you know yourself and your risks the best cannew. Thanks for your comments as always. Keep up the great work on your passive income machine(s). I used to be 100% individual stocks but I moved to ETFs for a bunch of reasons. The first one is obvious diversification. The second reason was more personal, I didn’t want the work and hassle. I’m good at what I do but after the market crash this year and a bunch of dividend cuts I decided I would gain enough to justify the extra work and hassle. The third reason is taxes. I don’t live in Canada so details don’t matter but taxation works better with an ETF. Great comment Rob. I just did a webinar for Canadian MoneySaver and I told the folks exactly that – diversification and low fees and less hassle are great things when it comes to ETFs. I’m exploring this more myself, but really U.S. dividend ETFs and not Canadian dividend ETFs. I’ve already created my own ETF of Canadian stocks really – without most of the duds the index can have. What an excellent summary. A great reference. I have printed it, filed it, and forwarded it. Now comes the work to drill down and determine which 1, 2 or 3 etf’s may be appropriate for me. Can you comment which have also shown the best capital gains? Is it XIU? XIU is very good but I believe XDV might be even better. That link that cannew provided is perfect. 🙂 Thanks for reading, printing, filing and sharing Helen. When it comes to returns, consider dividends as part of the total return. Use Fortis (FTS) as a quick example. You can get dividends and capital gains (i.e., the stock price rises) from this company. However, regardless of the stock price, FTS has been paying dividends and increasing their dividends for 40+ years. So, yes, depending on the company you gain in price AND dividend which equals total return. Check out this page and scroll down and look at charts, both the stock price but also the dividend history. Thanks Mark. I guess what I’m having most trouble with is understanding the verbiage used on sites like the Fortis one you linked. Yield can refer to the return on a stock price as well as the dividend correct? 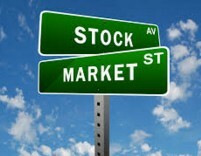 The other way is to take the dividend and divide it by your Average Cost of the shares you own in a company. 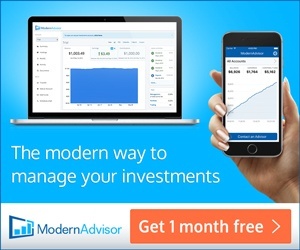 You’ve invested $10,000 in the save stock over time and own 348 shares. The dividend is still $1.20 annually, but you yield on the $10,000 is 4.20% because your our Ave cost might be $28.52. I can appreciate the terminology is very confusing to new investors…. Example. Fortis dividends per year = $ 0.40 per quarter = $1.60 per year. There is also yield on cost. I’m not a huge fan of this metric. Will explain…. Yield on cost = rate of dividend income that your original investment earns today. So, over time, if a company increases its dividend after you purchased it you will enjoy a higher rate of return on your original investment – your yield on cost rises. Consider this a yield since cost for simplicity and a good way to remember it! This metric can be used for any investment – but it’s not great in my opinion because it usually gets people emotional about their gain. Gains are good/great but getting emotional about money is bad. Bad emotions + money = poor decisions. So let’s say i have 100 shares of Fortis and the dividend pays $1.60 yearly. That means I make $160 in dvidends for the year. Is this paid to me directly or is it re-invested to buy 4 more shares (@$40 per/share)? But the share price over the course of the year has increased from $35 to $40 (hypothetically). This means that I have a return of 8.75% (3500/4000) + my $160 dividend correct? If you have 100 shares of Fortis, then every 3 months (Fortis pays quarterly dividends) Fortis will pay you 100 x 0.40 = $40. If Fortis does not increase their dividend for an entire year (unlikely) then you can expect to earn $160 per year in dividends from Fortis stock. If you want to reinvest your dividends in Fortis stock, you’ll need at least the amount in dividends to buy one full share with your discount brokerage. So, if the share price is like today, about $41 – you can’t. $40 is paid in dividends per quarter. The stock price is $41. IF however you own more shares of Fortis, say 150 shares, then you can easily DRIP this stock. In your example, over the course of the year, if you bought your 100 shares of Fortis for $35 (cost = $3,500), and the yield was 4.57% at time of purchase ($1.60/$35 per share) and NOW the share price is $40, your current yield will be lower but over time, over years of dividend growth, your yield on cost will be higher. Yield on cost is really a metric for many years of investing, not just one. Play with this calculator and you’ll see. Mark: I agree that YOC, (initial cost) is not a meaningful benchmark, but what about your Yield on Average Cost, which changes as you invest additional funds or reinvest dividends? I do prefer a total return calculation. That is important. Take ENB for the last 6 years. Very impressive. 17% annualized return! Total Return is valid if and when one sells. Until then it’s only a paper gain and can change quickly. Income received each Qtr or Mo. is real and validated on the next payment..
Am I reading XEI correctly in that their distributions have fallen several times over the year? Is there a year end payout that compensates for that? Sometimes. The distributions change based on fund inflows and outflows. When a fund or ETF experiences significant inflows (or outflows), it can result in a lower (or higher) distributions per unit. Usually, the drop in distributions can be explained by fund inflows – money in. Total distributions have been jumping around in this one for a few years. I think that an investor can easily avoid the annual ETF fees by buying the component stocks directly. Of course, if the fee is below 0.05%, it becomes a moot point. Some Canadian dividend ETFs are not exactly cheap, some are much better than others. Where I can, I try and hold my CDN stocks directly. For U.S. dividend ETFs, I like HDV. The MER is 0.08% which is great for a basket of 70+ U.S. dividend studs. DGI: “Of course, if the fee is below 0.05%, it becomes a moot point.” I disagree, any fee is a reduction unless one can be sure that paying the fee will generate more income than your current strategy. Larger portfolios would feel the effect of even a 0.05% fee. I prefer to keep me fees at zero! I would think that XIU would be closer to VCE than VDY. Is it because VCE is paid out quarterly ? VCE does have quarterly distributions. Rock-bottom fees as well. I suspect over time XIU and VCE would perform similarly. VDY is very concentrated in 10 stocks. Hi Mark – great post as always 🙂 I didn’t see VFV make your list. Wouldn’t that be a much better ETF (lower MER, higher yields) compared to XIU, VCE, ZDV, etc.? Thanks for reading! VFV didn’t make the list because I recall this is a Canadian-listed ETF that invests in the S&P 500; so it invests in U.S. stocks and not Canadian stocks. That said, it’s a great low cost ETF for the U.S. market. Vdy, XEI and ZDV unfortunately don’t have DRIP program with my online brokerage and I am surprised at your comments about CDZ. Given the make-up of many of the ETFS, wouldn’t they also have a good number of the high-yielding stocks in CDZ which worry you? Odd, because most Canadian brokerages do allow you to DRIP ETFs like those. CDZ is good to OK but not a huge fan now since I think there are better choices. Since the fund itself makes DRIP available you might want to change brokerage if they are indicating that you can’t do it for some reason. I am with Scotia and have DRIP for ZDV. It’s not a huge deal however as it is just a convenience – you can’t (for example) avoid the tax implications of re-investing your dividends, it still counts as income. The ZDV ETF is, in my opinion, an almost perfect instrument for a buy and hold non-registered Canadian income investment. Nothing wrong with ZDV, a great BMO product actually. I’ve to date decided to unbundle ZDV, XIU, etc. ETFs and own those stocks that they own directly. However, ZDV and XIU are very tax-efficient and they also provide both decent income and diversification in one nice package. So, those that don’t want to hold individual stocks like I do have great alternatives. Cheers! I am planning to buy XIU in my son’s RESP at next dip and wanted to check if you have any free online calculator to calculate the investment return for next 10-12 years.Is the return of 7% factors inflation? You should be able to select “iShares” and the fund company, see what fees you would have paid. thanks for the great post. I’m currently invested in Canadian dividend ETFs (XDV, XTR, ZDV) but also have half my holdings in cash. I’m considering HDV as a possibility for US dividends. I know market timing is difficult but is now a good time to invest and what percentage should I consider? (I’m 65, retired and live in Canada). Thanks for being a fan Neale. I can’t offer direct advice for many reasons on this site but overall, I think XDV, XTR, or ZDV are good CDN products for income. The companies they hold, by design, are dividend studs and if they go under – well – our country is doomed. I’m also a fan of HDV and I will consider buying more as I get older; to churn out a few thousand per year in dividend income within the RRSP without touching too much capital. Have you checked out this post for U.S. dividend ETFs? thanks, I appreciate your position. Do you know of a site that lists Canadian companies that distribute a monthly dividend? I will email him to see if he can add a filter for monthly dividend or distribution frequency. Cheers. 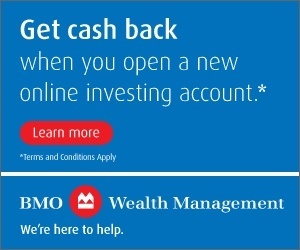 I would like to find the tax implications on bmo,s etf ZDY put in an rrsp account . No tax issues Ken. RRSP = tax deferred until you withdraw funds from the account. Is there a USD version or similar ETF to XUI that you can hold in a non-registered account that would be tax efficient? I have US funds available and don’t want to convert to Canadian yet still want tax efficiency. Thanks Charlie. Stay tuned for my upcoming post, hopefully in a few weeks, about best international dividend ETFs. To your question…my understanding is for non-registered investing you may want to look at Horizon’s ETF = HXS. I recall it uses a “swap” agreement so you can limit taxation and defer it in the form of capital gains. I believe you don’t get distributions from it either – so if you’re looking for income not ideal other than selling ETF units periodically. Also, be mindful of foreign withholding taxes for Canadian listed ETFs that hold US assets. As you may know as well, with any US funds in a taxable account, you’re on the hook for reporting gains over $200. Gains or losses in excess of $200 are reportable to CRA as a capital gain or loss; currency gains are not taxable when money continues to sit in a U.S.-dollar account. A capital gain is triggered when you convert funds in a foreign currency into Canadian dollars (e.g., USD to CDN). All this to say, many considerations US assets in a taxable account. Thanks for the kind words 🙂 It’s a fun site to run. I’m curious what is the rationale of using dividend ETF’s if you’re not yet retired and don’t need the income stream? I’m still in my wealth accumulation stage so I haven’t done much research into dividends. I see them as something I’ll transition too as I retire. For now everything is in index ETF’s (XIC, XEF, VAB, VTI (US), VXUS (US)). Thanks for reading Sterling. Even though I’m in my asset accumulation years, I invest in CDN stocks for that portion of my portfolio because I believe that basket will serve me well long-term, not just something I need to transition to in retirement. I’m a big fan of VTI and VXUS for the record. Owned VTI for many years, now own VYM and also own VXUS.